Tracks 1-4 culled from DC07. Tracks 5-8 culled from DC08. Tracks 9-12 culled from DC09. 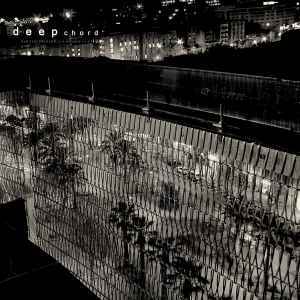 On DC07/DC08/DC09, Deepchord re-release some of their earliest work under various pseudonyms, making them available on CD for the first time. And right away, on “Soft White,” the dub techno that made them world-renowned hits immediately, with the reverberating synths and an insistent, yet muted, rhythm. “Concorde” continues this feel but with melodic tones that seem to bend in the ear, warping from their original shape. The tracks under the moniker Von Schommer take a slower approach, engaging more bass and introducing plenty of atmospheric hiss. “M-3,” however, brings the tempo back up, and “Ohm” and “Cobaltred” push the club-friendliness even further. “River Place” re-emphasizes the dub elements, while “Tower 400” offers a quicker, crisper take. But “Data” strips things down to focus on the cudgel-like beat before “Debris” delivers the rhythmic coup de grace. A powerful collection.